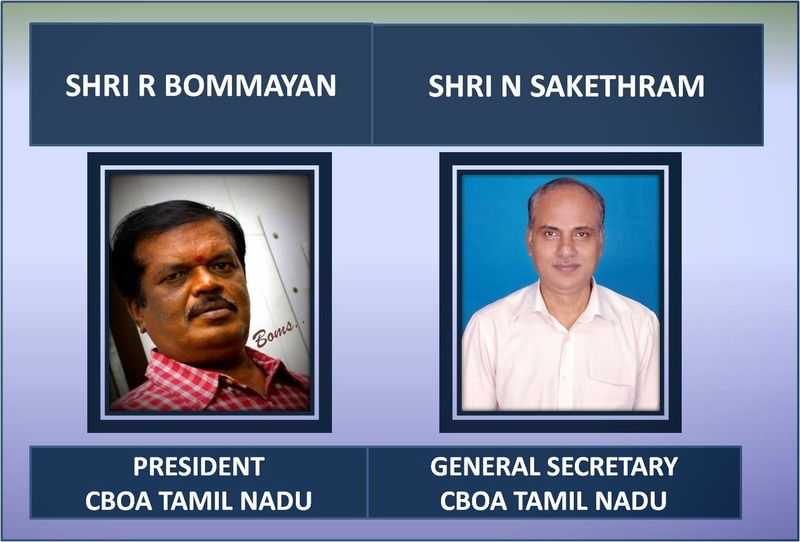 A new Association for Retired Officers of the Bank in Tamil Nadu is born, kindling new hopes for a better tomorrow for officers who have already retired and who would be retiring in the days to come. Please refer to our Circular No 17 dated 14.02.2011. 2. We have to day once again taken up the issue with the Finance Ministry Government of India and also IBA on the issue of exemption of amount contributed towards 2nd option on Pension out of arrears of salary and allowances and 56% of the P.F. amount by the retirees. A copy of our communication is annexed. 3. We shall advise the developments in due course. (i) In case of existing employees, the amount that is receivable as arrears on account of settlement by which they are permitted the option to avail the Pension Scheme on withholding 2.8 times of their revised basic pay as at 01.11.2007, towards the pension corpus. (ii) Retired employees and the families of deceased employees, have to refund additional amount of 56% of Bank’s contribution to PF towards the Pension Fund, to be eligible for Pension Option. 2. In respect of existing employees the amount of 2.8 times of Revised Basic Pay appropriated towards Pension Corpus, is not available to them at any time. As per the prevailing Tax law it is only the amount that is due to the employee after the amount appropriated towards pension corpus, that can be taken as “Salary” within the definition of Section 17 of the Income Tax Act, 1961. 3. For the purpose of deduction of tax at source the law is transparent that, tax deduction is required under section 192, in respect of “Salary”, which has to be made on the income chargeable under the head “Salaries” at the time of payment so that even the amount chargeable becomes tax deductible only at the time of payment. 4. Since the amount retained towards the corpus is not paid to the employees the question of tax deduction at source doest not arise in respect of with-held amount for the Pension Corpus. 5. Similarly, in respect of retired employees or families of employees who died during the relevant period, who have to refund additional amount of 56% of Bank’s Contribution to PF the amount so refunded should also be treated as investment in the Pension Corpus and the amount should be allowed to be deducted from the arrears of Pension payable to this category of employees, for arriving at the taxable income. 6. It may please be noted that the Pension amount paid out of the corpus fund is always taxable in the respective years. 7. The contributions made by the employees towards the superannuation benefits such as Provident Fund; Pension Fund etc. are eligible for tax exemption as per the Income Tax rules and treated as Investments in the eligible securities for all practical purposes. Thus, the money contributed to the Pension Fund Corpus either 2.8 times or 56% of Bank’s contribution to PF as indicated herein above, should be exempted from the payment of Income Tax or should be allowed as deduction from the total income received as the case may be. 8. Keeping the foregoing in view, we request you to take-up the matter with the Minister of Finance, Govt. 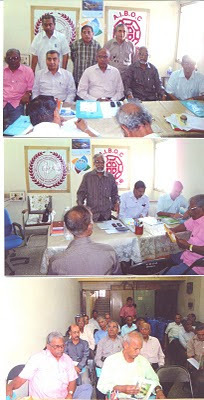 of India and the Chairman, Central Board for Direct Taxes, Govt. of India, New Delhi for providing relief/exemption from payment of tax as indicated hereinabove. 9. This will go along way in providing substantial relief to the employees working in the Banking Industry and also the retired employees and families of deceased employees. 10. We once again request you to take-up the issue with the concerned at your earliest convenience and provide the necessary relief to the employees. 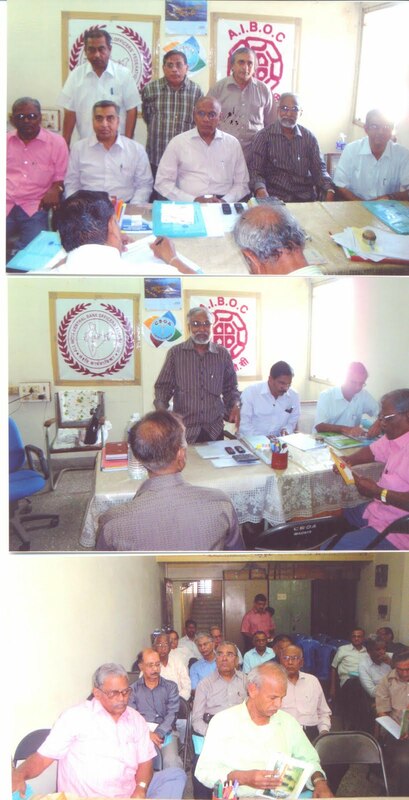 With your kind intervention, the 9th Bipartite Settlement on Salary Revision and also an agreement for another option on Pension was signed on 27.11.2009 by way of Memorandum of understanding between Indian Banks’ Association and All India Bank Officers’ Confederation (AIBOC). The final settlement was signed on 27.04.2010 and the long cherished dream of Bank employees to get another option for Pension was realised. (i) The existing employees will contribute 2.8 times of the Basic Pay as at 01.11.2007 to the Pension Corpus Fund, out of the arrears of salary, to be received by them, to become eligible for Pension Scheme. (ii) Retired employees and the families of deceased employees have to refund additional amount of 56% of Bank’s contribution to PF towards the Pension Fund; to be eligible for Pension Option. 3. In respect of existing employees the amount of 2.8 times of Revised Basic Pay out of arrears of salary and allowance, appropriated towards Pension Corpus is not available to them at any time. As per the prevailing Tax rules it is only the amount that is due to the employee after the amount appropriated towards Pension Corpus, that can be taken as “Salary income” within the definition of the Income Tax Act, 1961. 4. For the purpose of deduction of Tax at source, the law is transparent that tax deduction is required under section 192, in respect of “Salary” which should be made on the Income chargeable under the head “Salaries” at the time of payment so that, even the amount chargeable becomes tax deductible only at the time of payment. 5. Since the amount retained towards the Pension Corpus is not paid to the employees, the question of tax deduction at source does not arise in respect of withheld amount for the Pension Corpus. 6. Similarly, in respect of retired employees or families of employees who died during the relevant period (between 29.09.1995 and 27.04.2010) who have to refund 56% of Bank’s contribution to PF, the amount so refunded, should also be treated as investment in the Pension Corpus and the amount should be allowed to be deducted from the arrears of Pension payable to this category of employees, for arriving at the taxable income. 7. It may please be noted that the monthly Pension amount paid out of the Corpus fund is always taxable in the respective years. 8. The Income Tax Law provides that the contributions made by the employees towards the superannuation benefits such as Provident Fund, Pension Fund etc. are eligible for tax exemption, as these are treated as Investments in the eligible securities for all practical purposes. Thus, the money contributed to the Pension Fund Corpus either 2.8 times of Revised Basic Pay as at 01.11.2007 in case of existing employees or 56% of Bank’s contribution to PF in respect of retired employees or families of employees who died during the period should be exempted from the payment of Income Tax or should be allowed as deduction from the total income received by way of Pensionary benefits, as the case may be. 9. Keeping the foregoing in view we request you to extend tax benefit to the above category of Offices/employees working in the Banking Industry. This will go a long way in providing substantial relief to the employees, who have opted for Pension in the wake of the Agreement on implementation of another option for Pension. 10. We have the confidence that our request will be considered favourably. The Board of Directors in its meeting held on 31.01.2011 has approved the enhancements in the rent ceilings wef 1.4.2011 in the rent reimbursement facility to eligible category of officers. The details are given above. With deep regrets and profound grief we inform you of the sad demise of Sri.D.Muralidharan, Manager of our Chennai NBO shortly after midnight on 07.02.2011. He was 56 years of age when he expired. On hearing the sad news your General Secretary, Treasurer and Regional Secretary of Chennai and other Centralites rushed to the GH to pay their homage. Many centralites including the executives from our Zonal office also rushed in. The last rites were performed at about 7 am on 9.02.2011 at his native place, Salem. Many colleagues including Sri.Shivaji, Regional President of our Coimbatore unit and Shri.B.Dhinakaran, Managing committee member of our Association attended the rites and paid their homage. Born on 15.10.1954, Sri.D.Muralidharan joined the Bank’s services as clerk on 4.6.1979 at Kolkatta main branch. He hails from Salem. He was highly qualified with M.Com and CAIIB and was known for his efficiency in FOREX dept. He got his promotion to officer cadre on 7.5.2002 and was posted to Mookundapally branch and then transferred to Salem. 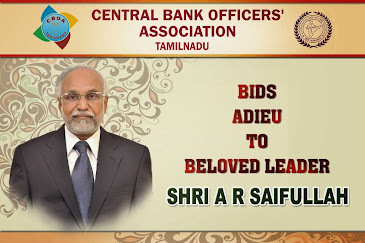 On 1.6.2009. he was promoted as Manager and posted to our IBB Chennai. The family consisting of his wife and two children’s will have to bear and brave this irreparable loss of the lone bread winner. The bank has lost an able, senior officer. He was a very sober person, known for his calm and cool nature. He was our staunch member and took part in all activities of the Association which has lost a valuable member. We fumble for words to express our deep sense of sorrow and melancholy. slabs with effect from 01-02-2011 as against 308 slabs for the previous quarter. 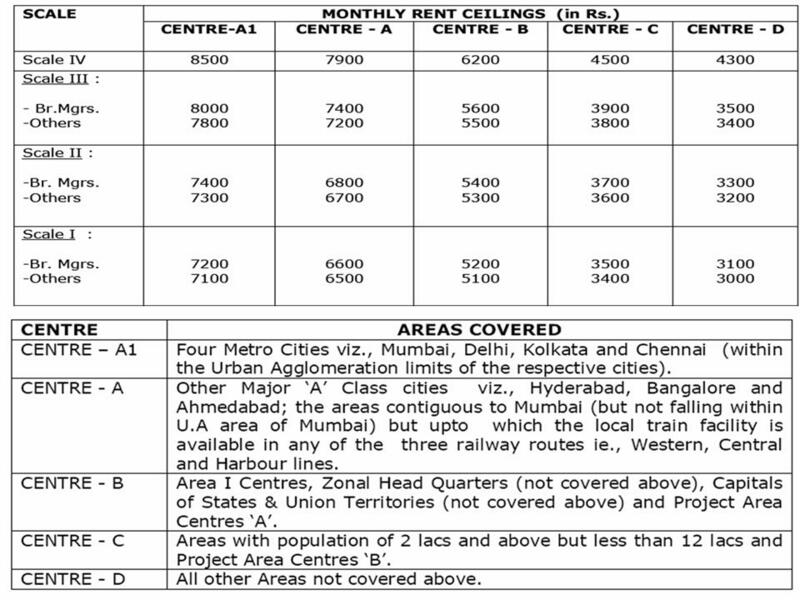 The rates of Dearness Allowance at various stages of basic pay are furnished overleaf. 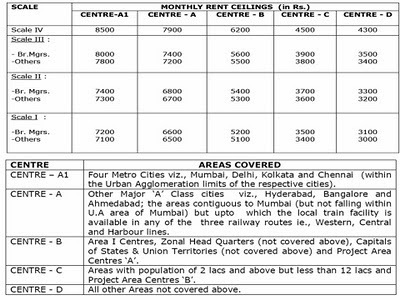 The rates worked out are as per the industry level scales upto Scale VII including SBI.